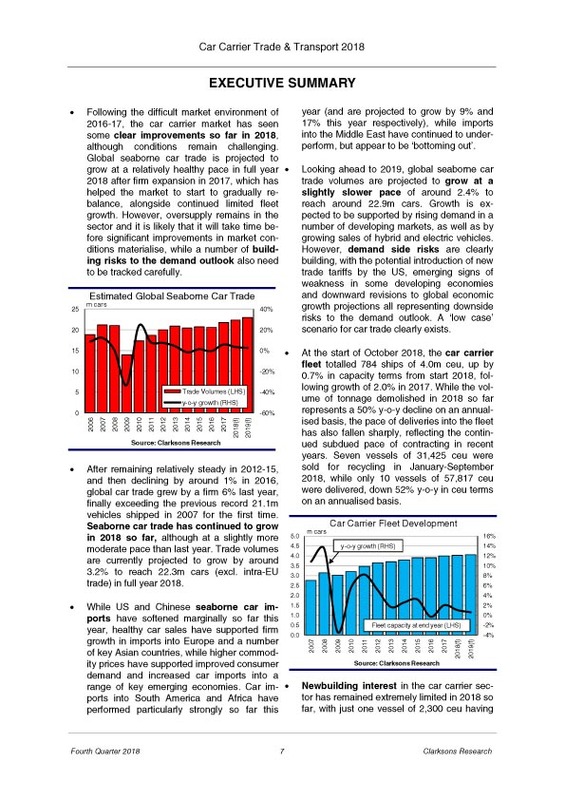 The 2018 edition of the Car Carrier Trade and Transport is now available to order from Clarksons Research, the leading provider of intelligence to the shipping industry. 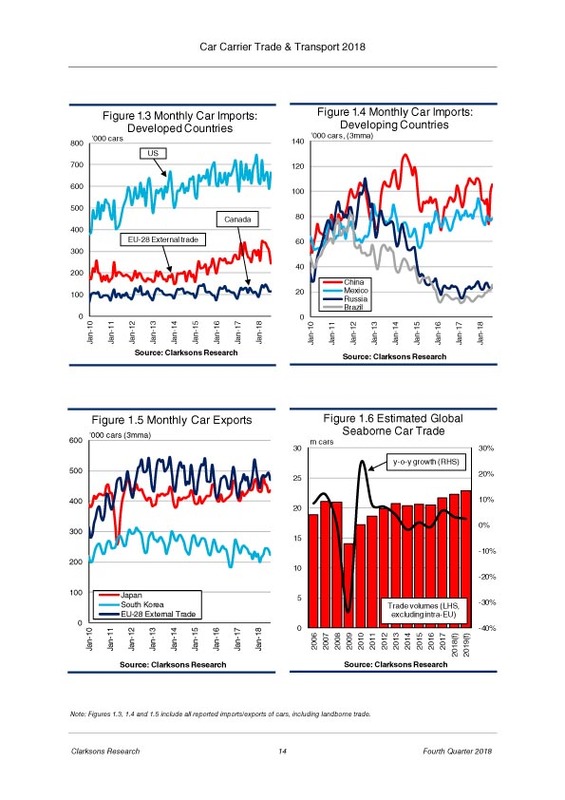 Highlights of the report include; 22.3m cars expected to be traded by sea in 2018, up by 3% year-on-year; car carrier fleet of 784 vessels of 4.0m car equivalent capacity at the start of October 2018, while subdued fleet expansion of around 1% in capacity terms is expected in both full year 2018 and 2019; orderbook at 4% of the fleet in capacity terms after historically subdued contracting in recent years; and charter rates still under some pressure, although there have been clear improvements over the last year. 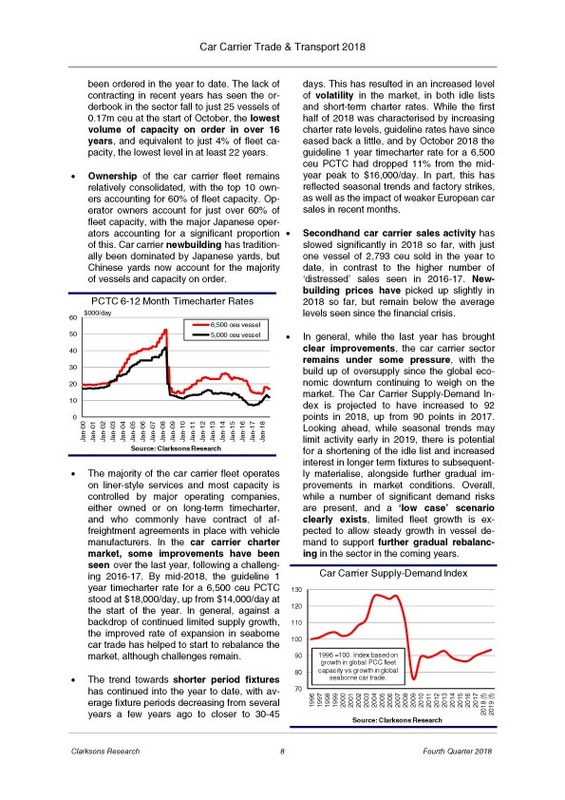 Providing wide ranging information on the structure and state of the market along with all key supply and demand trends, this report is now in its eleventh year of publication. 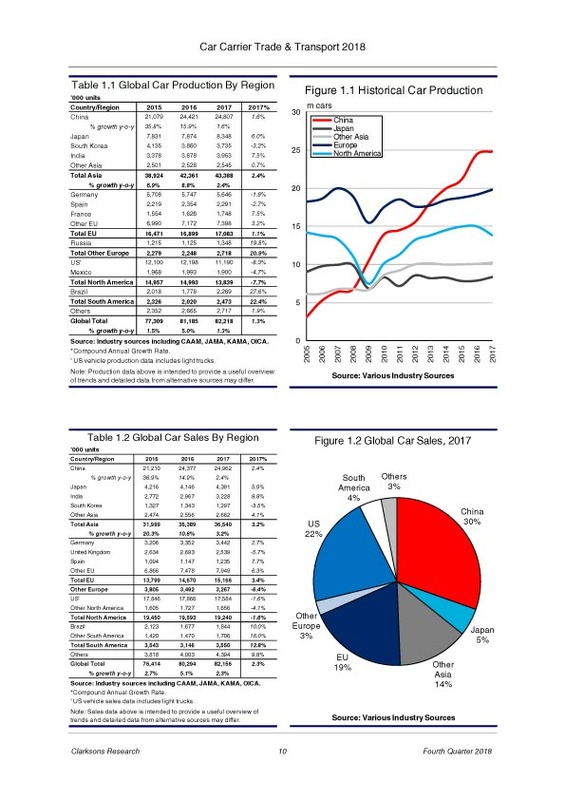 Global Car Trade – A detailed overview of seaborne car trade including a breakdown and forecast of global seaborne car exports and imports. 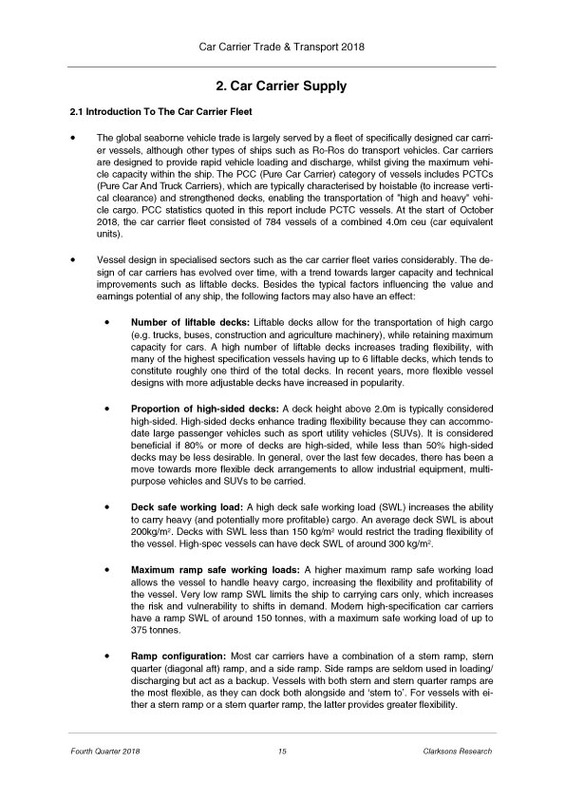 Pure Car Carrier Fleet – Analysis of the development of the Pure Car Carrier fleet and orderbook, including contracting, deliveries and demolition. Pure Car Carrier Market – Overview of the structure of the sector today and the impact of key supply and demand factors and the car carrier markets.